These 4-star Nairobi hotels are ideally located and offer luxurious accommodation at a great price. 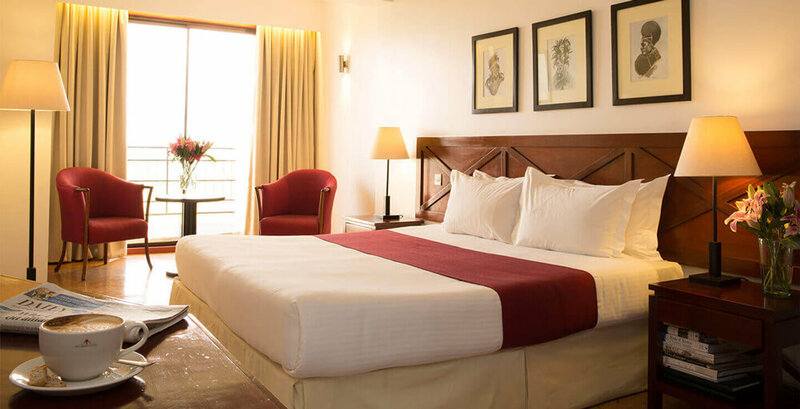 Enjoy spacious rooms, delectable cuisine, thick mattresses and stay connected to friends, family members and work associates with high-speed Internet access. 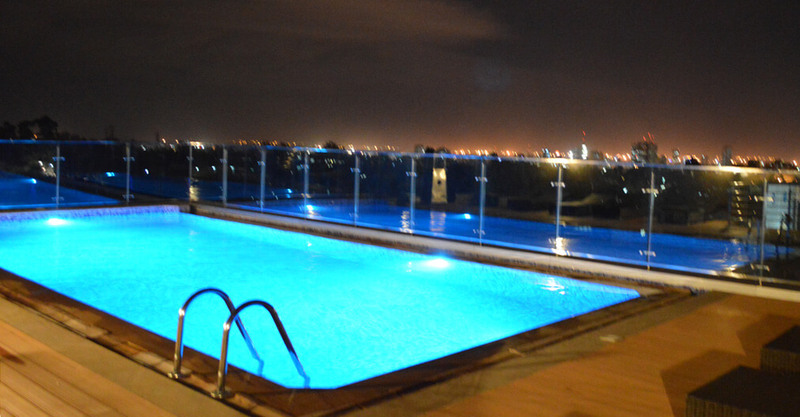 If you are looking for 5-star luxury see the best 5-star Nairobi Hotels. Crown Plaza Hotel Nairobi offers spacious rooms and luxury suits, free wireless high-speed Internet, spa, a health centre and pool. The hotel also offers a variety of dinning options for the guests including at the Baraka Restaurant, Sikia Restaurant, Babalu’s Lounge, Alabaster Coffee Lounge or in-room dining. Crown Plaza offers a range of meeting and function rooms including 6 meeting rooms with a capacity of 400 people and an elegant ballroom. 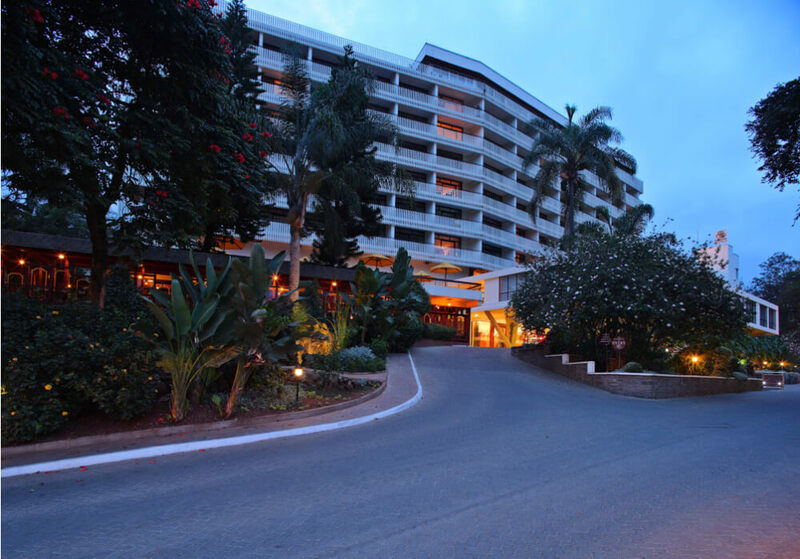 Crown Plaza Hotel Nairobi is situated at Kenya Road Off Kilimanjaro Avenue in Upperhill Nairobi, about 1.9 km from downtown Nairobi and 14 km from Jomo Kenyatta International Airport (NBO). Sarova Panafric was established in 1965, the Nairobi hotel offers 162 rooms and suits in a range of Superior, Executive, Club, Studio and Themed Suites – all recently refurbished and decorated in a modern vibrant African décor. Guests at the 4-star Nairobi hotel can enjoy free Wi-Fi, a dip in the stunning pool, spa treatment or a drink at the Flame Tree restaurant. Sarova Panafric also offers state-of-the-art banqueting and conferencing facilities with a range of meeting and function areas equipped with the latest audio visual and Wi-Fi equipment. The Sarova Panafric is situated 5-minute drive from downtown Nairobi and 18 km from Jomo Kenyatta International Airport. Jacaranda hotel is an oasis of calm nested among 4 acres of manicured tropical gardens in the heart of Westlands. The 4-star Nairobi hotel features complimentary Wi-Fi, an outdoor swimming pool, fitness centre, spa, children’s playground and flat-screen satellite TV in each room. All rooms at the Jacaranda Hotel have a view of the garden and swimming pool and are fitted with a private bathroom. Free private parking is also available. Jacaranda Hotel Nairobi is situated about 5 km from the city centre and 21 km from Jomo Kenyatta International Airport. Fairview Hotel is set in 5 acres of beautiful gardens 2 km from the city centre. The 4-star Nairobi hotel offers Economy, Business, First Class and Various Suites and Apartments for long term stays. The hotel also offer free wired and wireless internet access, state of the art conferencing facilities for up to 120 delegates, 4 restaurants, an outdoor swimming pool and a fitness centre. Fairview Hotel features a business centre, TVs with satellite channels in each room, coffee makers, electronic safes and desks. Fairview Hotel is situated about 20 km from Jomo Kenyatta International Airport off Bishop Road, Nairobi. A family-friendly 4-star Nairobi hotel, Eka Hotel offers comfort, convenience and efficiency to the discerning traveler. Eka Hotel offers 170 rooms; 161 superior rooms, 4 junior suites, 3 executive suites and 2 rooms are for guests with special needs. Each room has a flat-screen TV with satellite connection, free Wi-Fi access, Mini bar, electronic personal safety deposit box and coffee-making facility. The hotel also offers 2 restaurants, 2 bars, meeting and event venues that can accommodate up to 290 persons, gym and an outdoor swimming pool. Eka Hotel is located 7.8 km from central Nairobi and 11.5 km from Jomo Kenyatta International Airport on Mombasa Road. Southern Sun Mayfair Hotel is set on a beautifully landscaped 5-acre property about 2 km from the CBD. The 4-star luxury hotel in Nairobi is ideal for both the business traveler and those intending to take a safari. The hotel offers guests the opportunity to experience authentic African hospitality and its unique architecture echo an Out of Africa theme. Southern Sun Mayfair Hotel offers 171 spacious en-suite rooms, complimentary high-speed Wi-Fi internet access, a health club with sauna, outdoor pool – not heated, a business centre and restaurant. 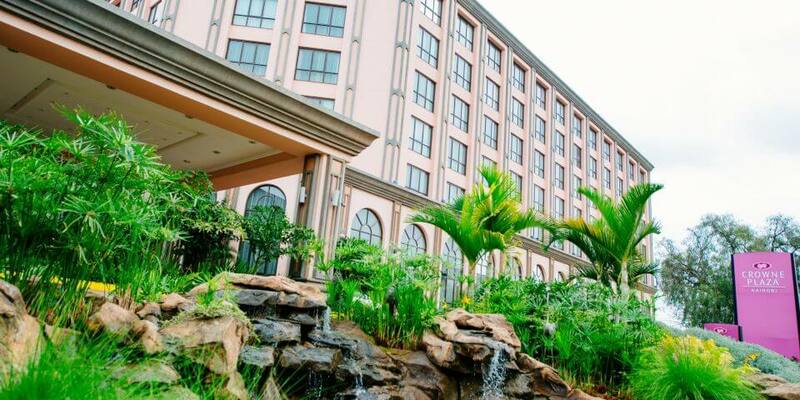 Southern Sun Mayfair Nairobi is situated 21 km from Jomo Kenyatta International Airport on Parklands Road. Ole-Sereni is the perfect spot for both the business visitor and the safari-bound tourist. The luxury Nairobi hotel offers stunning views of Nairobi National Park’s landscape punctuated by African buffalo, zebra, antelope and giraffe, as well as views of Nairobi’s vibrant streets. Ole Sereni features 134 rooms each furnished with an African-inspired décor and having an LCD flat screen TV, coffee maker, a minibar and 24-hour in-room dining services. The hotel also offers free Wi-Fi and wired internet, 3 restaurants, 2 bars/lodges, a health club, fitness centre, outdoor pool and free valet parking. Ole Sereni hotel is located 5.2 km (8 min) from the CBD and 12 km (14 min) from Jomo Kenyatta International Airport off Mombasa Road. Best Western Premier is the epitome of exceptional hospitality and comfort. 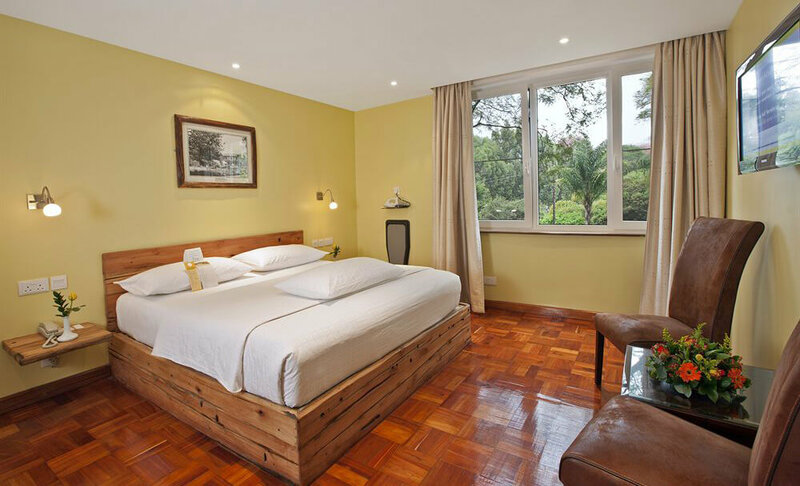 The luxury Nairobi hotel offers 96 rooms – executive suits, superior rooms and deluxe rooms, all having free Wi-Fi, minibar, flat-screen TV with satellite channels, coffee maker, and hair dryer. Best Western Premier Nairobi also offers room service, a heated rooftop swimming pool, fitness centre, restaurant and conference facilities. Best Western Premier Nairobi is situated 2-minute drive from the city centre in Hurlingham, one of Nairobi’s main commercial districts and 20 km from the JKIA. Among the latest addition to the luxury hotels in Nairobi, Weston Hotel consists of 120 rooms; 110 superior, 3 Executive suites, 3 Deluxe suites, 3 Junior suites and 1 grand Presidential suite. Weston Hotel offers complimentary Wi-Fi, 4 restaurants including a buffet restaurant, a fine dining seafood restaurant, coffee shop, and a Pizzeria. The hotel features 2 ball rooms, 12 conference rooms that can accommodate up to 800 persons, an outdoor swimming pool, a health centre, spa, steam rooms, hair and beauty salon and a barber shop. Weston Hotel is situated 15.8 km from Jomo Kenyatta International Airport along Lang’ata Road. 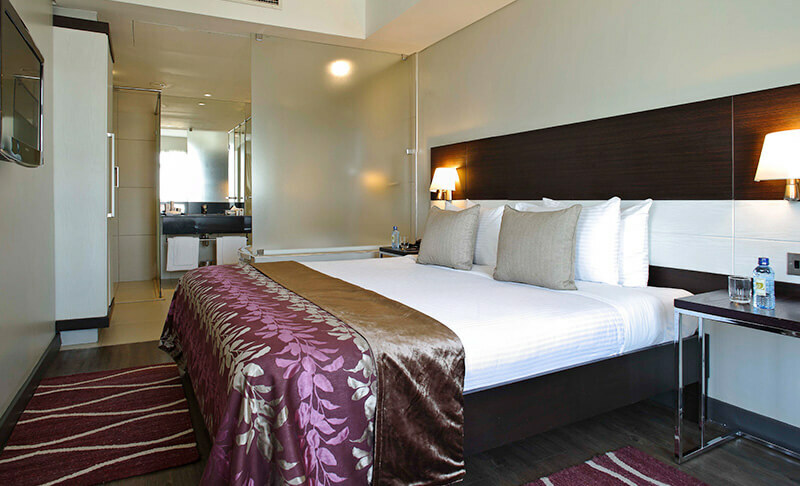 Bidwood Suites Hotel’s amenities cater towards both families and business travellers. The luxury Nairobi hotel offers 44 well appointed rooms and suites – one bedroom ensuite, two bedroom all ensuite, deluxe ensuite bedrooms and penthouse family suites. Bidwood Suites also features a swimming pool, restaurant and bar, conference facilities, spa, complimentary Wi-Fi, room service and concierge services. Bidwood Suites Hotel is situated in the Westlands Suburbs of Nairobi 20 km from Jomo Kenyatta International Airport.